it would be pretty cool if it would be possible to select multiple Files, Clips or whatever from the Clipboard history and paste it. If there is another way then lemme know, but else this would be decent to have. Düsseldorf? Surely you mean trash multiple files at once? I assume this means you also want Düsseldorf chucked in the bin. Good man! I did some investigation into this, and in theory it's possible to do.. If an entry is an image, it's file type is indicated via `dataType` column, and the file name is saved to a column named `dataHash`. base64 -in "~/Library/Application\ Support/Alfred 3/Databases/clipboard.alfdb.data/$ITEM_DATAHASH"
It's probably a bit more tricky than this, I don't know if you can just copy a blob and some plaintext to the clipboard and paste it as file plus the plaintext, because the blob is plaintext. You can't. Clipboard data is typed (with UTIs). While you can theoretically just smash a blob of text+binary data in there, it isn't going to paste well. 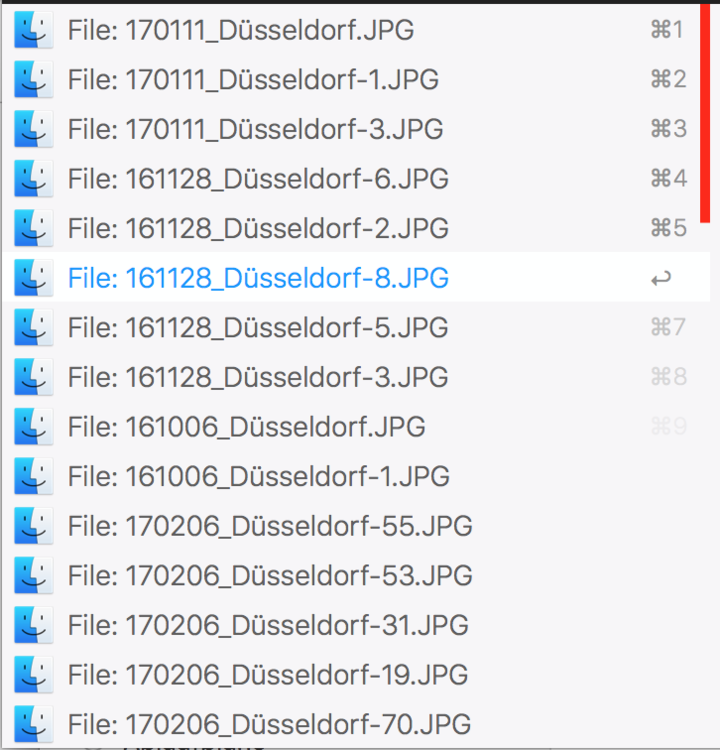 You'd probably need to save the text items to discrete files, then put a sequence of filepaths on the clipboard.